In this first newsletter of 2019 I want to wish you all a Happy New year! It is hard to believe that January and half of February are already in the books. Perhaps you, like many of us, made some resolutions. Maybe on your list is to take your business and/or your career to the next level. As we all know, the challenge with resolutions is that by this time of year a large percentage of them remain yet to be acted on. If that is true for you, I have great news! The chapter’s new fiscal year starts in April, so you still have plenty of time to make good on your resolutions! Annual Economic Forecast with Wayne Best, Chief Economist at VISA. Big thank you to Cliff Berry and Don Davis of VISA! Best’s humorous delivery of data from the trillion-dollar payments industry made for an enjoyable (and relatable) program. 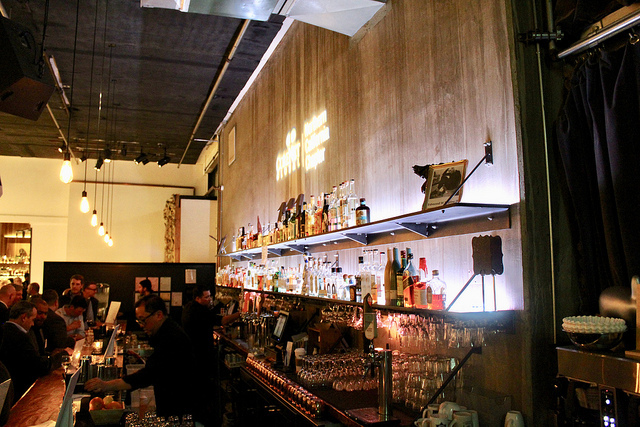 The Chapter Holiday Party at 111 Minna Street Gallery on January 31st. Shout out to the Special Events Committee and the Chapter staff for a fabulous evening for over 300 members and guests! Tour of the Golden One Arena in Sacramento and complimentary tickets to the Kings/Rockets game on February 6th. What a treat for CoreNet members and guests! Lastly, I want to mention something I am also excited about: Future Forward 2025. 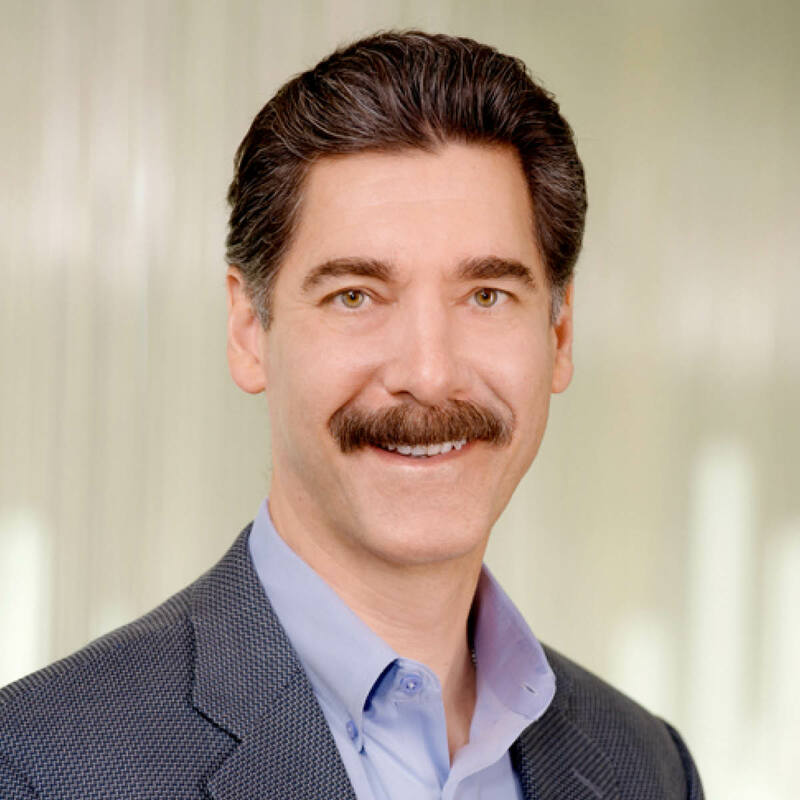 Announced over a year ago at the Seattle Summit, this program has gathered input from CoreNet members across the globe (including our very own chapter) with the goal of preparing the organization for the future. 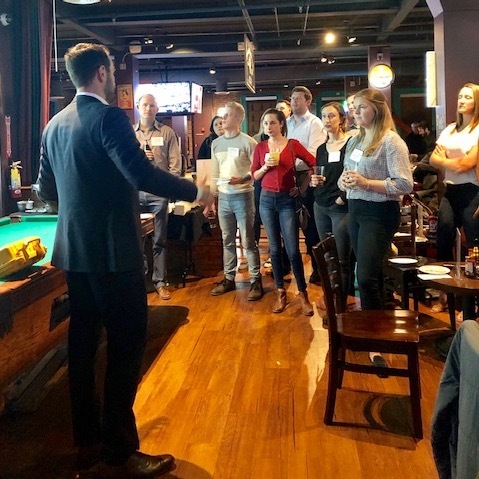 I am proud that our chapter is actively participating in this dynamic initiative to ensure CoreNet remains the hallmark and gold standard for real estate industry professionals for generations to come. Of course, no matter what future changes come our way, or technological advancements impact our industry, one thing will remain true. The “Core” of CoreNet Northern California is our uniquely close community. Everything we do fosters personal, and professional relationships in a positive energy generating environment which welcomes industry veterans, and rising stars alike. I encourage everyone to engage actively with the chapter in 2019. Each of you have an essential role to play in fulfilling this mission. 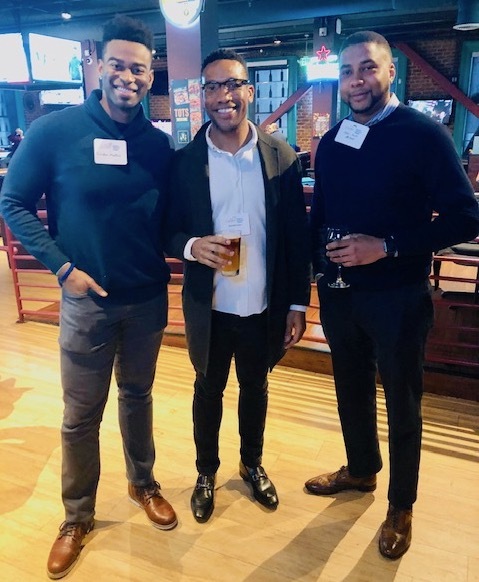 Being involved affords the opportunity to build significant long-lasting personal, and professional relationships that you will carry throughout your career. 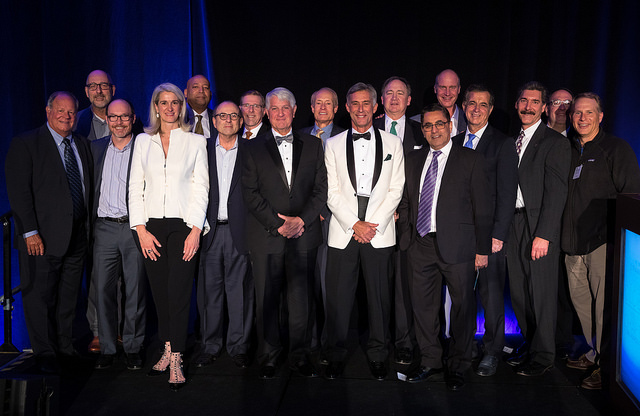 On behalf of the entire CoreNet Northern California Board, and Leadership Team, I would like to wish you a happy, healthy and prosperous start to the New Year. We look forward to helping you make powerful progress toward your resolutions! On December 13th at Medallia in San Mateo, the Chapter hosted an exceptional professional development program focusing on presentation skills with author, keynote speaker and founder of SpeechSkills, Cara Hale Alter. The audience of nearly 100 CoreNet members and guest were treated to a powerful interactive workshop entitled: Taming Adrenalin: Surefire Strategies for Overcoming Speaking Anxiety. Hale Alter addressed the topic with warmth and humor and offered practical, real-world solutions for bringing speaking anxiety under control. She provided insight into discovering how to avoid common “tells” of nervousness, reduce adrenaline levels in minutes with four physical behaviors, control your mindset so that fear doesn’t get the best of you, break the cycle of nervousness-feeding-nervousness and train for the conditions to assure future success. 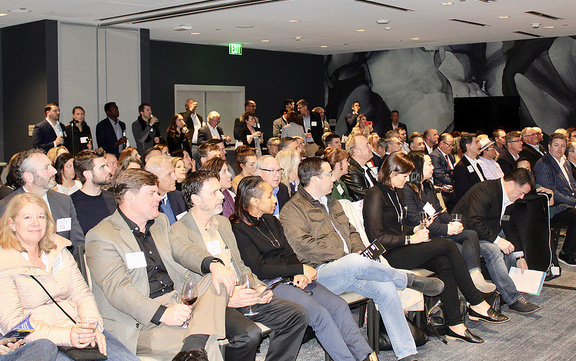 The Chapter held its annual economic forecast event on January 17, 2019 at VISA’s Headquarters in Foster City. Wayne Best, VISA’s Chief Economist gave a command performance delivering another entertaining and informative presentation to the crowd of over 200 members and guests. He shared his predictions including continued yet slower economic growth in 2019 given that late cycle dynamics are at play. Additionally, he indicated that he believes 2020 will be our most vulnerable year. 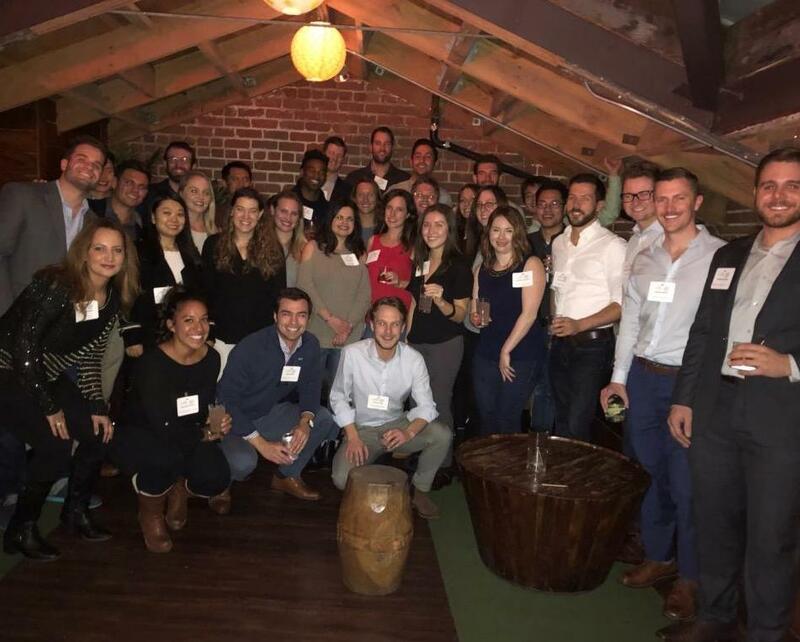 CoreNet Young Leaders celebrated the Holidays in true SF style at Natoma Cabana, a fabulous Loft bar with views of the new Transbay Terminal. The event was a jam packed with a lot of new and old faces celebrating a successful end to a busy and fun filled year for the YL’s. 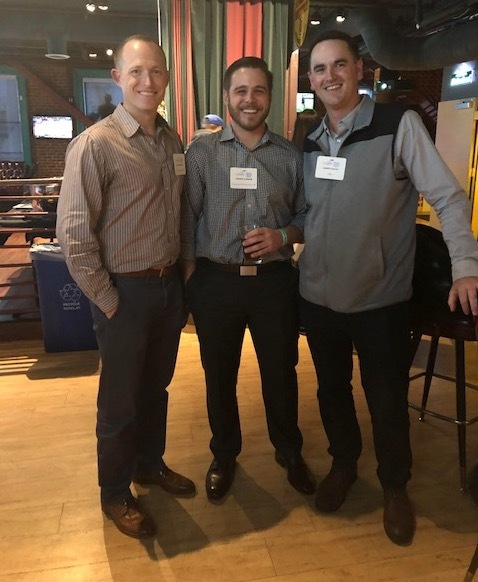 Current and prospective CoreNet members came together at the Membership Drive hosted at the Golden Gate Tap Room in San Francisco. The venue made for a fun evening with games to break the ice, setting a great tone to kick off 2019. As the final program in our See It, Be It” series, Women of CoreNet offers a panel discussion among distinguished local leaders in our industry who will share their personal stories, highlighting the paths they’ve forged and the opportunities they’ve created in their successful careers. Our guests are Iris Gai, VP of Real Estate & Workplace from VMWare; Shawn McLean-Bergel, Founder & Principal, McLean Bergel Design; and Helen Vu, Director of Global Strategic Portfolio Planning – Real Estate at Google. Our panel will be moderated by Andrea Traum, Senior Project Manager and Senior Associate at Kleinfelder.